Today In Science History - November 2 - Thomas Midgley, Jr.
Home » Science Notes Posts » Science History » Today In Science History – November 2 – Thomas Midgley, Jr.
Today In Science History – November 2 – Thomas Midgley, Jr.
Label for Ethyl Gasoline Additive. Leaded gasoline was one of the major inventions of Thomas Midgley Jr.
November 2 marks the passing of a man who had a profound impact on the environment, Thomas Midgley, Jr.
Midgley was a mechanical engineer with over 100 patents, but he is best known for his inventions in chemistry. He was the inventor of tetraethyllead and dichlorodifluoromethane, otherwise known by their trade names: Ethyl and Freon. Midgley was given the task of finding a solution to the problem of engine knock. Engine knock is a problem in internal combustion engines apparent by a pinging or knocking noise while the engine is running. Engine knock is caused by the detonation of the air/fuel mixture at the wrong time during its four stroke cycle. Several different conditions can cause this early detonation, but Midgley found changing the composition of the gasoline solved most of the problems. He added tetraethyl lead (TEL) and bromine to the gasoline. His employers, General Motors patented the mixture as Ethyl gasoline. 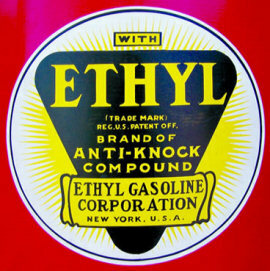 In 1922, Ethyl gasoline seemed a wonder product. Lead was less expensive than the previous solution of adding ethanol to gas. It also eliminated the need to engineer expensive fixes to engine design. The American Chemical Society awarded Midgley their Nichols Medal for the invention in 1923. Unfortunately, problems started to appear. Dupont Chemical manufactured TEL for General Motors until several cases of lead poisoning and ten deaths chased them out of the business. General Motors began making their own TEL. Within two months, employees were showing symptoms of lead poisoning and five lost their lives. Midgley himself had to take an extended vacation to recover from prolonged exposure to lead. The state of New Jersey closed General Motor’s TEL plant in 1924 even after Midgley held a press conference and poured TEL directly on his hands and sniffed the fumes for a full minute to show his additive was safe. This proved unsuccessful in changing New Jersey’s mind and also proved toxic to Midgley himself. He spent the next year in Europe seeking treatment for lead poisoning. When Midgley returned from Europe, he found his position at General Motors changed. He was reassigned to General Motors’ subsidiary Frigidaire. His task here was to find a substitute refrigerant for cooling systems. Refrigerators and air conditioning systems relied on a variety of chemicals such as ammonia, sulfur dioxide, and chloromethane. Each one of these chemicals is harmful if they leak. Leaky refrigeration systems accounted for many deaths each year. Midgley quickly discovered the chemical dichlorodifluoromethane worked great as a substitute. Frigidaire trademarked this chemical as Freon. Like Ethyl, Freon seemed heaven sent. Freon was non-toxic and non-flammable, so leaks wouldn’t kill you or explode. It had the added benefit of being extremely efficient heat exchange chemical. It began to appear in air conditioners, refrigerators and freezers worldwide. It also proved to be an effective propellant in aerosol canned products like paint and hairspray. Midgley even held a press conference to show how different Freon was from Ethyl. He inhaled a large quantity of Freon and blew out a candle showing it was both non-toxic and non-flammable. It would be years before anyone thought otherwise. Freon and other CFCs were found to damage the bonds of ozone without breaking down itself. Its cumulative effects have become apparent in the upper atmosphere where a layer of ozone shields us from ultraviolet radiation. Scientists discovered a large hole in the ozone layer would appear in the Spring over Antarctica. Each year, the hole got larger and larger. It soon became apparent that CFC molecules in the atmosphere were the culprit. The problem became bad enough wherein 1987, CFC production was banned by the Montreal Protocol treaty. In 1940, Midgley contracted polio and was severely handicapped. His final invention was a system of pulleys and ropes designed to help him get in and out of bed. He was found tangled up and strangled by his own invention on November 2, 1944. 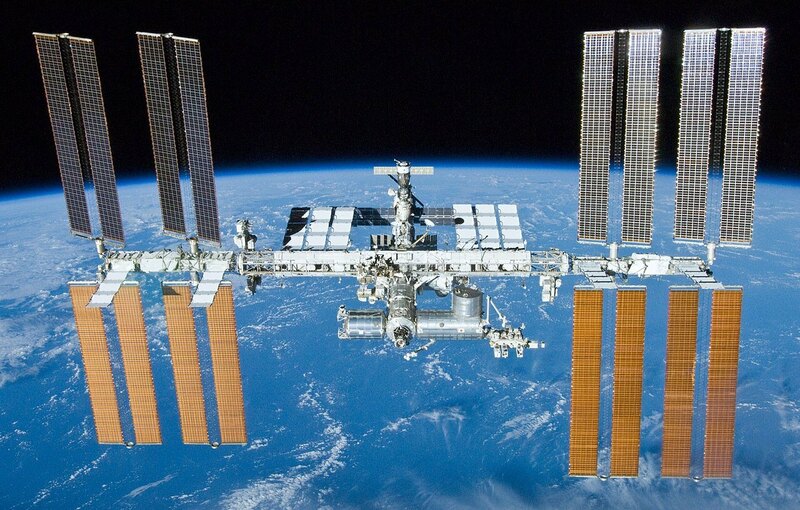 2000 – International Space Station began operations. View of ISS from the Space Shuttle Atlantis in 2010. 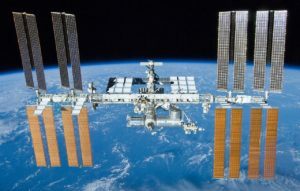 The International Space Station began operations when an American astronaut and two Russian cosmonauts boarded the facility and powered on the life support and electrical systems. William Shepherd, Sergei Krikalev, and Yuri Gidzenko established a television link with Russian mission control to begin their four-month-long residence. The three men were confined to only two of the rooms of the space station until the Space Shuttle Discovery delivered the solar panels needed to power the rest of the station in December. 1966 – Peter Debye died. 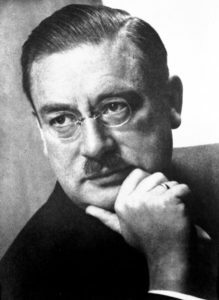 Debye was a Dutch-American physical chemist who was awarded the 1936 Nobel Prize in Chemistry for his investigations of the dipole moments and electron spacing of atoms in gases and his improvements in x-ray crystallography. His study of electron spacing greatly increased the understanding of how atoms arrange themselves and their spacing within molecules. He also refined x-ray crystallography by discovering a technique that did not require the growing of a large pure crystal and a powdered form would be sufficient. 1944 – Thomas Midgley, Jr. died. 1932 – Melvin Schwartz was born. Schwartz was an American physicist who shared the 1988 Nobel Prize in Physics with Leon Lederman and Jack Steinberger for the development of the neutrino beam method and recognition of the doublet structure of leptons with the discovery of the muon neutrino. The neutrino beam method is an experimental technique of producing high energy neutrinos to study the weak nuclear force and was important to the discovery of the quark. 1929 – Richard Edward Taylor was born. Taylor is a Canadian-American physicist who shares the 1990 Nobel Prize in Physics with Jerome Friedman and Henry Kendall for their experimental investigations that were important to the discovery of quarks. They fired beams of electrons into nuclei and investigated the scattering caused by the particles in the nucleus. They found low energy electron beams barely scattered which was consistent with the idea that nucleons had no internal structure. When they fired high energy electrons, however, the beams became highly scattered suggesting protons and neutrons were made up of smaller particles. These particles would later be identified as quarks. 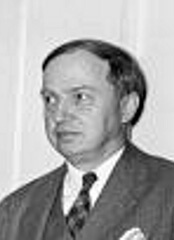 1885 – Harlow Shapley was born. Shapley was an American astronomer who discovered the Sun’s location within the Milky Way galaxy. He placed the Sun near the central plane of the galaxy and 30,000 light years from the galactic center. He also showed Cepheid variables were not paired starts that eclipsed each other but were pulsating starts.